Players large and small are innovating to optimize what goes into — and comes out of — alcohol production. Anheuser-Busch InBev (AB InBev), the world’s leading brewer, has announced a global partnership with Benson Hill Biosystems (BHB) — a crop-improvement company unlocking the natural diversity of plants — to develop improved barley varieties using BHB’s computational platform, Breed, *powered by CropOS™. *Through predictive breeding, AB InBev aims to equip farmers around the world with more productive and sustainable varieties of barley. Recent reports have highlighted the sensitivity of barley to extreme heat and drought, underscoring the importance of developing varieties with greater resilience to climate change. As part of its 2025 Sustainability Goals, AB InBev leverages **SmartBarley** — a platform that utilizes data, technology and insights to help barley farmers in its supply chain improve the productivity and environmental performance of their farms. AB InBev will combine Benson Hill’s Breed application with traditional breeding methods to help accelerate the development of barley varieties that create higher yields while using less water and other natural resources. Benson Hill’s CropOS helps companies identify the most promising genetics for any targeted outcome, from higher yield to environmental sustainability or enhanced nutrition. The platform’s machine learning capability calibrates and evolves with each field trial and data set, improving its predictive capability to accelerate product development. A team of two biology students at the Universidad Nacional Autónoma de México has developed a project to turn acidic agave residue from tequila production into a nutritious flour, helping to decrease the 1,732,000 tonnes of agricultural waste produced by the booming tequila and mezcal industries each year, according to Mexican news site Excelsior. The project, named Mayahuel — led by Dení Grisel Cruz García and Rusty Ramírez — aims to turn the acidic residue, also known as bagasse, into a high-fiber, gluten-free flour with which to make a variety of staple foods — such as bread, pizza and biscuits — more nutritious, helping to improve the quality of many Mexicans' diets. 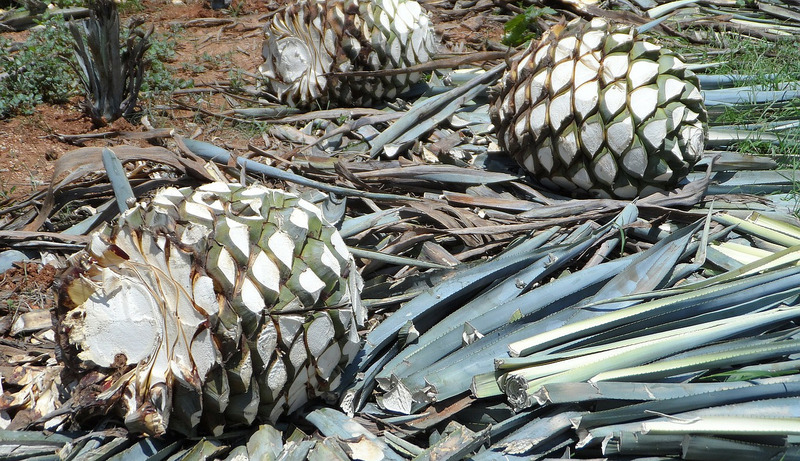 In the tequila-making process, the leaves of the agave are removed, leaving the ‘heart’ or piña, which is then cut up and placed in an oven to release the starch. This is then squeezed, and the juice is fermented and distilled to create tequila and mezcal. The remaining bagasse, which contains sugars and nutrients, is often burned by producers, creating huge amounts of CO2 pollution. Aside from Mayahuel’s nutritional benefits, the project will decrease the environmental pollution associated with traditional disposal methods, providing a win-win for the overall health of the country. Though the project is already gaining attention — it received an honorable mention at Walmart Mexico's Sustainable Innovation Awards last year — the students need capital to get off the ground; Mayahuel has launched a crowdfunding campaign to raise the 35,000 pesos (~$1,830) to acquire the equipment needed to dehydrate and pulverize fresh agave residue. The team told FoodNavigator-LATAM that they aim to bring the flour to market within six months; they plan to begin distribution in Mexico City before expanding to the rest of the country.